Four interlocking bangles interspersed with two sizes of oval shapes give this piece a truely dynamic quality. A fun but still very elegant contemporary piece suitable for a day in the sun or a night on the town. 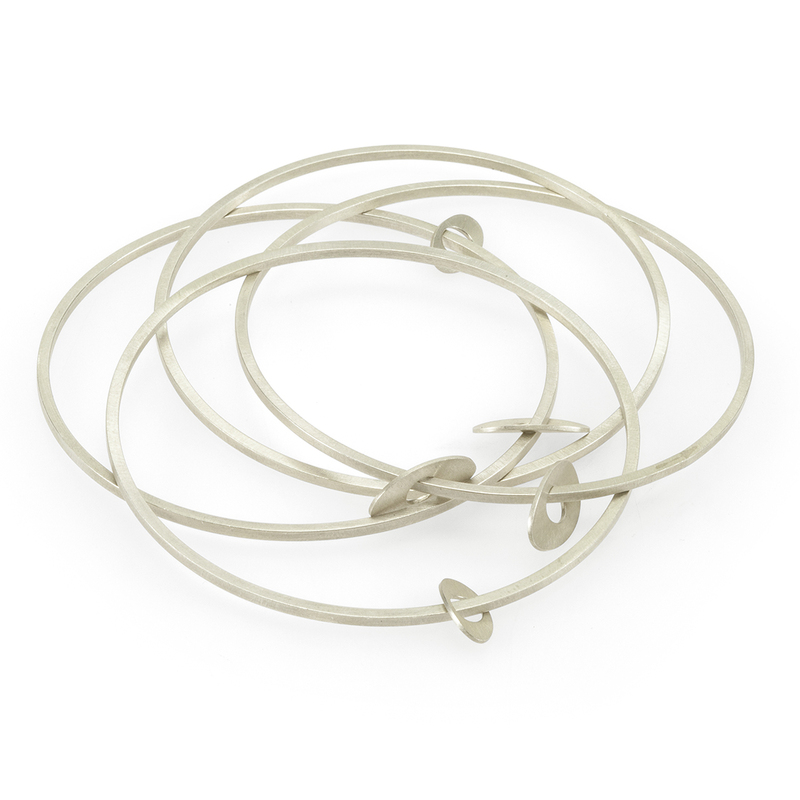 Each bangle in the set has a width of 1.8mm and there are 3 large and two small oval shapes in total. 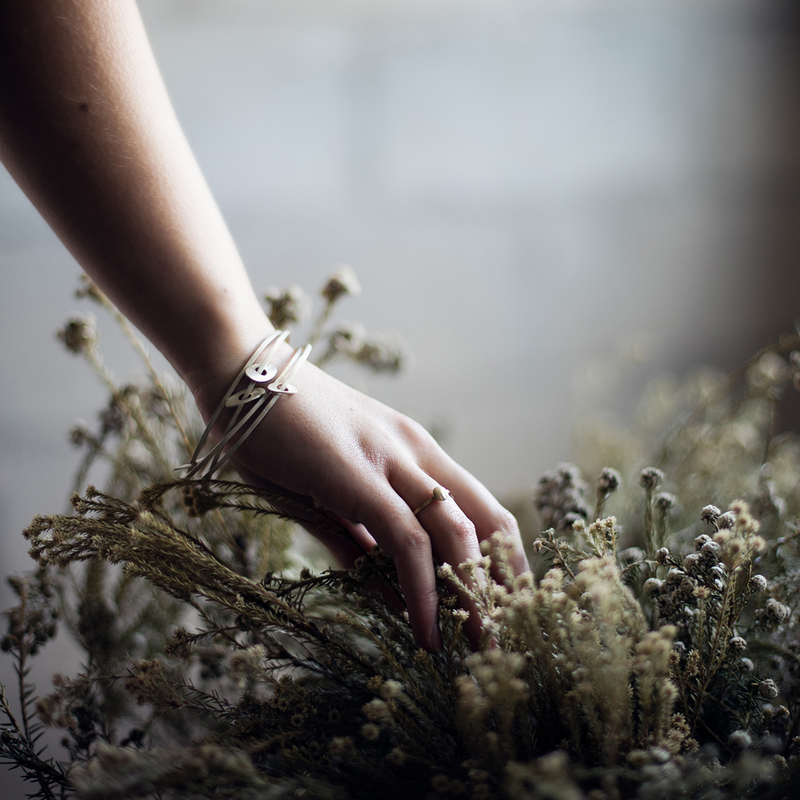 Notify me when Small Dancers bangle is available.